When Tom Waits once described Alex Chilton as 'the Thelonius Monk of the rhythm guitar', he was being very Tom Waits and simultaneously, both sincere and astute. The Box Top bad boy was influencing a new wave of bands in the early 1980s on the independent scene at home and in the UK. With shades of Syd Barrett and other Anglophile figures, Chilton's adoption of obscure blues, R&B, soul and the American songbook provided an interesting and provocative return to form with 1985's Feudalist Tarts E.P. Here, Chilton's famed excesses are firmly denied, as he delivers a blistering set with all the Big Star trademarks firmly intact. 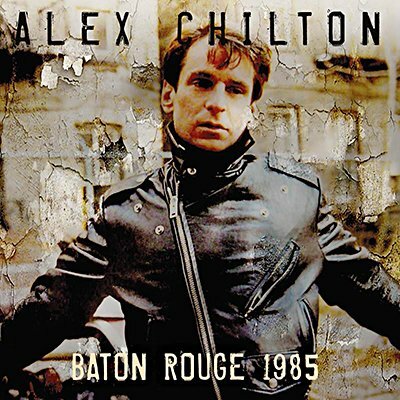 Klondike proudly presents the entire Louisiana Public Broadcast (WLPB) of Alex Chilton, live from the VFW Hall in Baton Rouge, Louisiana on September 27th 1985.